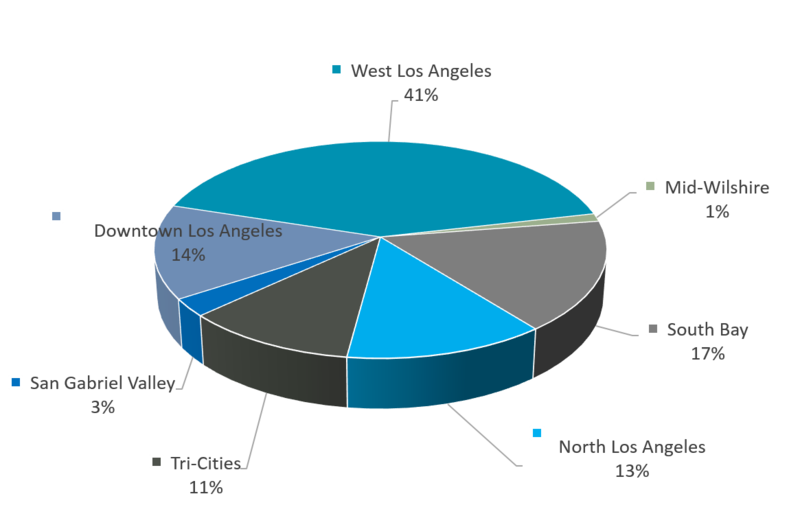 The availability of sublease office space continues to increase in Los Angeles County. It is up 2.9% from the prior quarter and 14.7% from last year. 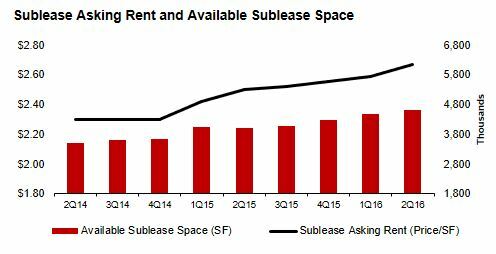 Although the level of sublease office space is rising, sublessors are not yet ready to offer deep discounts. 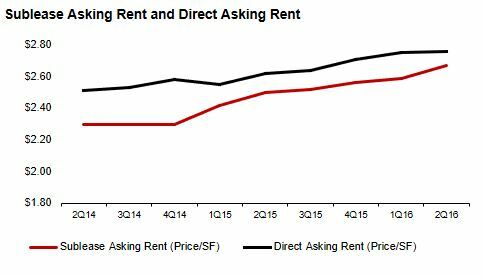 This quarter, the monthly average asking rent for sublease office space registered at $2.67/SF compared to the monthly average for direct office space at $2.76/SF – representing a $0.09/SF difference. A year ago at this time the difference was $0.12/SF. 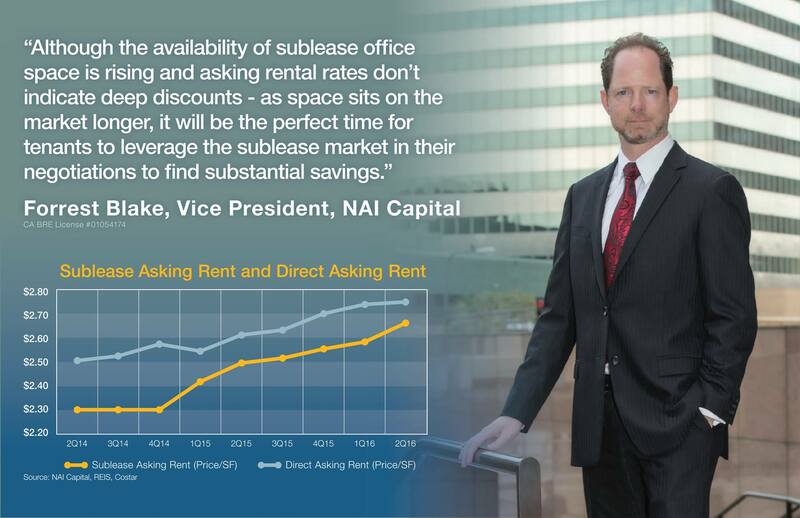 What’s more, the average asking rent for sublease office space is growing at a larger rate. The monthly average asking rent for sublease office space increased 6.8% over last year while the monthly average for direct office space grew at a lower 5.3% over the same period. Over the last quarter asking rents for direct office space saw a mere $0.01 increase on average while in comparison the average asking rent for sublease office space experienced a larger $0.08 per square foot increase. More sublease space is coming on line than is being worked out in the market. 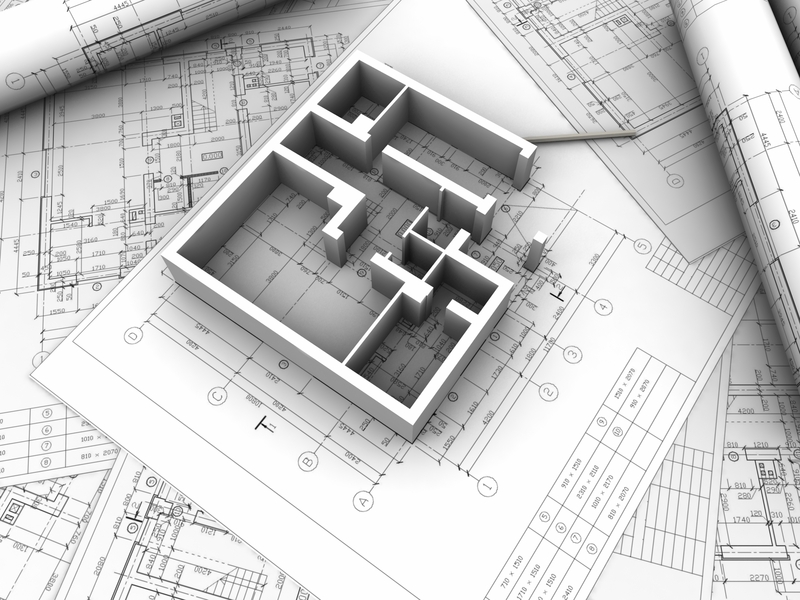 The volume of subleased space is down 22% from the prior quarter and down 56% over last year. As space sits on the market longer, sublessors are going to be motivated to drop rates heading into the second half of the year. Special thank you to J.C. Casillas Vice President Research, Marketing and Communications for putting this report together for me. For more information on leasing or purchasing space in Los Angeles, please contact me below.